Such a Pretty House, And That Porch!! We've loved the movie Field of Dreams since it first came out in 1989. Our sons were too young to understand the nuances of this movie when it first came out, but once they were a little older and it came out on home video, they were as enthralled by it as we were! The whole story is just incredible and so imaginative. My favorite part was when the doctor decided to leave baseball to save the little choking girl. Talk about tugging at your heartstrings! Of course, my husband and our boys were thrilled by the players coming out from the cornfield and the magical baseball playing scenes that created! 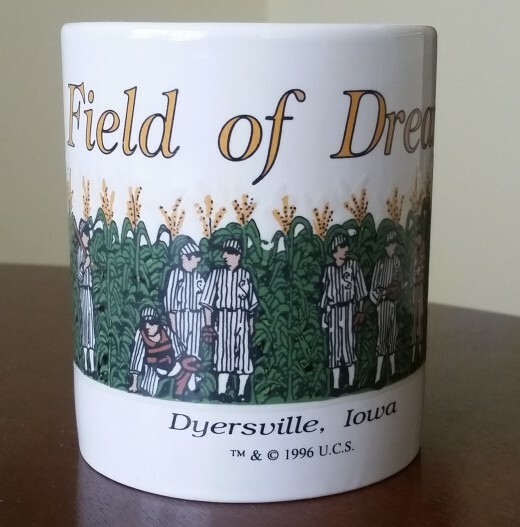 I remember one of the 'must have' souvenirs from our summertime trip to Dyersville Iowa to see this home in person were coffee mugs that featured corn stalks. When the mugs got hot from the coffee inside them, the players appeared! We still have those coffee mugs! And it's still fun to see the players appear when the mugs get hot! My husband and I were talking one day about old movies that we loved, and this one came up in the conversation. Then, we wondered whatever happened to this home that was such a prominent fixture in the movie? When we went to visit Dyersville, Iowa one summer, the property was owned by two families. Later, it was owned by just one family. There was also a gift shop on the premises. The most fun we had, though, was simply visiting the baseball field and seeing the cornstalks and using our imaginations to imagine players coming out from behind the corn! Everything was just like it had been in the movie. We thoroughly enjoyed our visit to this home! I just couldn't find the pictures that we took from our visit, taken with our ancient camera (this was back before we had smart phones with cameras) so I found some pictures of the home and baseball field online. 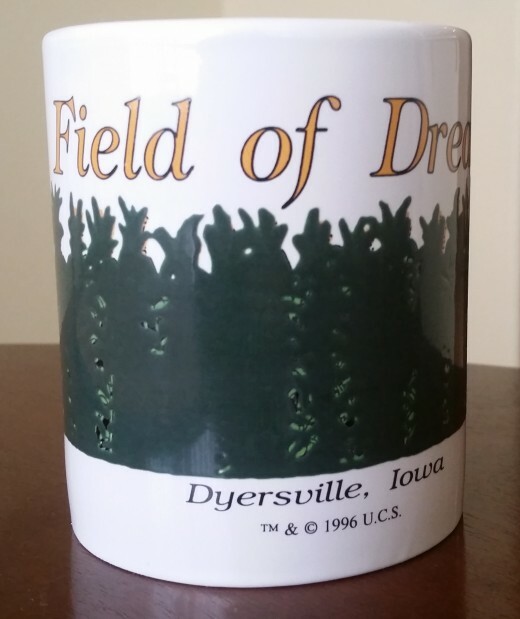 Whatever Happened To The Home From Field of Dreams? Since we were wondering what had happened to this iconic home, we decided to look it up! It turns out that the owners of it, Dan and Becky Lansing had put it up for sale in May of 2010 and was sold in 2011 to a company run by a couple who vowed to preserve the memories of this famous home and to keep the theme of the property one that stays dedicated to the love of baseball! This home was bought in 2011 by a company called Go The Distance Baseball, LLC, which is owned by a couple named Mike and Denise Stillman. 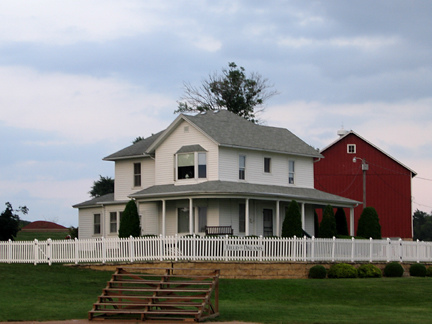 The sale included the home itself, the famous baseball field, six other buildings and over 190 acres, which are mostly cornfields like those shown in the movie. While you can't find an exact sale price, I did find one article that said 3.4 million, plus interest. It took nearly two years for the sale to be finalized. Go The Distance Baseball, LLC plans to develop something they call an All-Star-Ballpark-Heaven. It's described as an indoor baseball training facility to develop the skills of young people, along with fields that will be used for softball and baseball tournaments. Initially, there will be 12 fields and 60 clubhouses, a number that is expected to double in 2017. There are also plans to offer tournament play for kids 18 and under that includes skills competitions and professionally styled training. They feel that this is a good way to continue the baseball legacy and love for baseball that was expressed through the movie Field of Dreams. 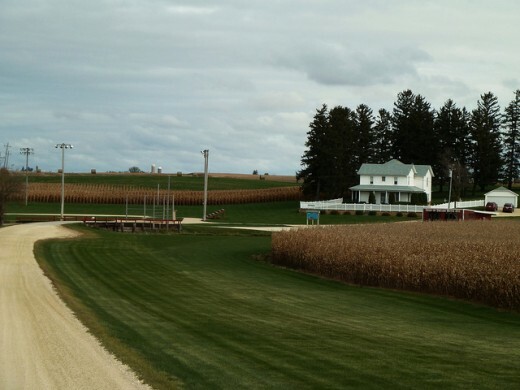 It's estimated that about 65,000 visitors come to the site of the movie Field of Dreams each year. 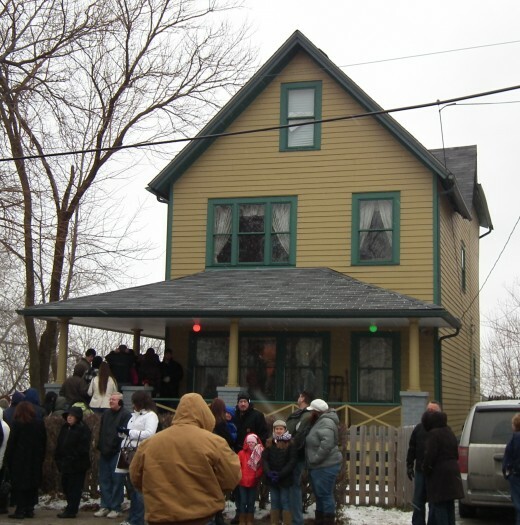 Whatever Happened To The House From A Christmas Story? 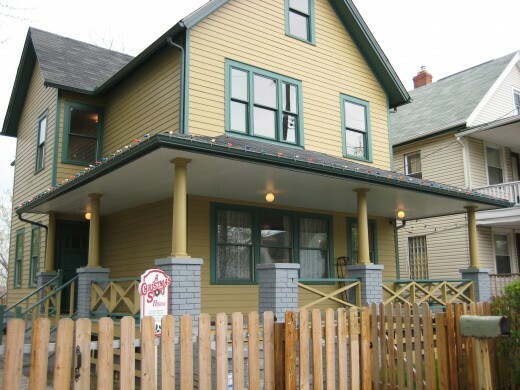 Today, the cute, quaint house that was featured in the movie A Christmas Story from 1983 is a museum dedicated to the movie and its memorabilia. It's located in Cleveland, Ohio, in an area known as the Tremont neighborhood. The house follows 19th century Victorian architecture style, and was the home of one of the main characters from the film, Ralphie Parker. The character of Ralphie was played by an actor named Peter Billingsley. Exterior scenes of this home were mostly used in the movie, while interior scenes were re-created in sets in Ontario, Canada. In an interesting aside, homes in over 20 cities were considered to be the home to be featured in this movie. The reason Cleveland, Ohio was chosen was because of a department store located there called Higbee's Department Store. Movie scouts searched and couldn't find any other department store willing to be a part of the film, so Higbee's was chosen. It turns out that they were allowed to feature this department store on one condition - that the Vice President of Higbee's, Bruce Campbell, could edit the script from the movie to remove any cursing. True story! Some of the other scenes from the movie, like the selection of the Christmas tree and the school scenes were shot in Ontario, Canada. The shots seen in the movie of the interior of the home were also filmed in Canada, from a set that was built there. If you go to the museum house today, which was restored to make the inside look like the interior you see in the movie, you'll see the famous (or is that infamous?) leg lamp which was a "major award" won by Ralphie's Dad. It is a lamp featuring a woman's stocking-clad leg. 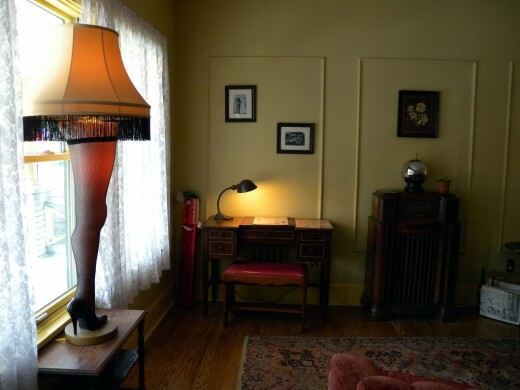 The man who bought the home actually ran a business called The Red Rider Leg Lamp Company, a company that manufactured replica's of this famous leg lamp. He used profits from his business to buy the home. The home was sold on eBay for $150,000. The man who bought it is Brian Jones from San Diego. He ultimately put about $240,000 into the home to restore it and to create a near-replica of the famous movie set home. Mr. Jones also bought a home across the street to create a museum, which today holds artifacts and props from the movie, including Randy's snow suit, hundreds of photos taken from behind the scenes of the making of the movie, and toys from the Higbee's Department Store window. A house on the left hand side of the museum has been turned into a gift shop and features more movie memorabilia. Both the museum and the house itself opened in 2006, and opening day featured appearances by the original cast members from the movie. The uniquely memorable Georgian style home featured in the movie Home Alone is located in a suburb of Chicago called Winnetka. 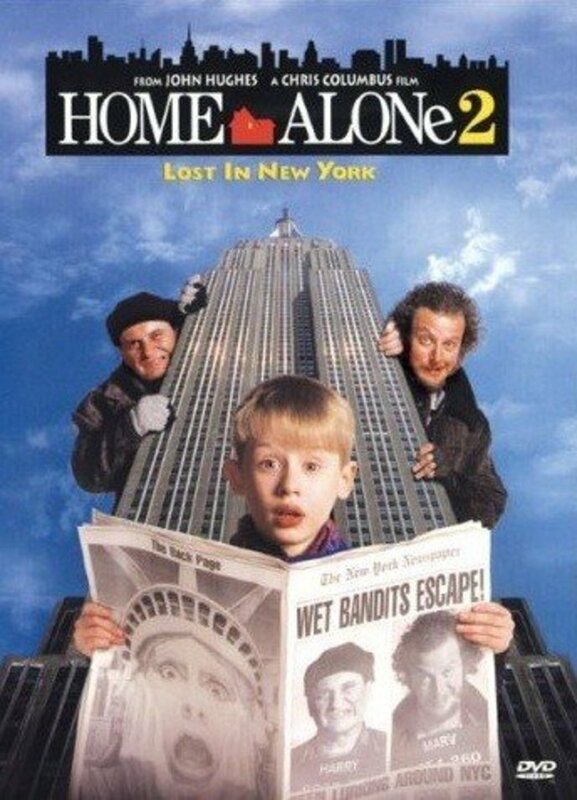 This Christmas film from 1990 was memorable for its different and funny story line about a family forgetting the youngest member and leaving him at home while they boarded a plane for a Christmas vacation. Many scenes and lines became iconic, including the line "How come you didn't bring more cheese pizzas?" The pizza delivery driver from a fictional pizza place called Little Nero's had a habit of knocking over a statue that stood in front of the home, which by the way was a movie prop and not a real statue. And Little Nero's was a made up name for a pizza place, and was most likely a play on words referring to Little Caesar's pizza. One of the movie's most famous lines "Do you give up or are you thirsty for more?" was totally improvised and became one of its most memorable lines. This home was sold in 2012 for over 1.5 million. The four bedroom and four bath mini-mansion has changed quite a bit since the movie was filmed there. The outside looks much the same as it did back when the movie was made, but the inside has been totally renovated and updated to feature a more modern look and appeal. The home was put on the market in 2011 for over 2.4 million, but after several price adjustments, it finally sold for over 1.5 million. The staircase in this home looks similar to the way it looked over 25 years ago when this movie debuted. The office was modernized and now features sophisticated tile flooring, along with being painted a clean, crisp white color. The biggest changes made to the home are in the kitchen, which was given a totally updated and modernized look and feel. Gone are the dark green tile counter tops, which were replaced with dark marble looking counter tops, along with white walls and white kitchen cabinets and new metallic appliances. The back splashes are made from customized tile designs, which add an entirely new and modern look to the kitchen. The wallpaper which was very dated was totally removed and replaced with paint, and in some rooms, walls were accented with stenciled designs. The dining room was also given an updated look, and the marble fireplace remains where it was. A tree house used by the main character, Kevin McCallister was demolished after the movie was finished being shot. - The movie Kevin was watching was a fictional creation called "Angels With Filthy Souls". It was actually based very loosely on a real movie from 1938 that starred James Cagney called "Angels With Dirty Faces." 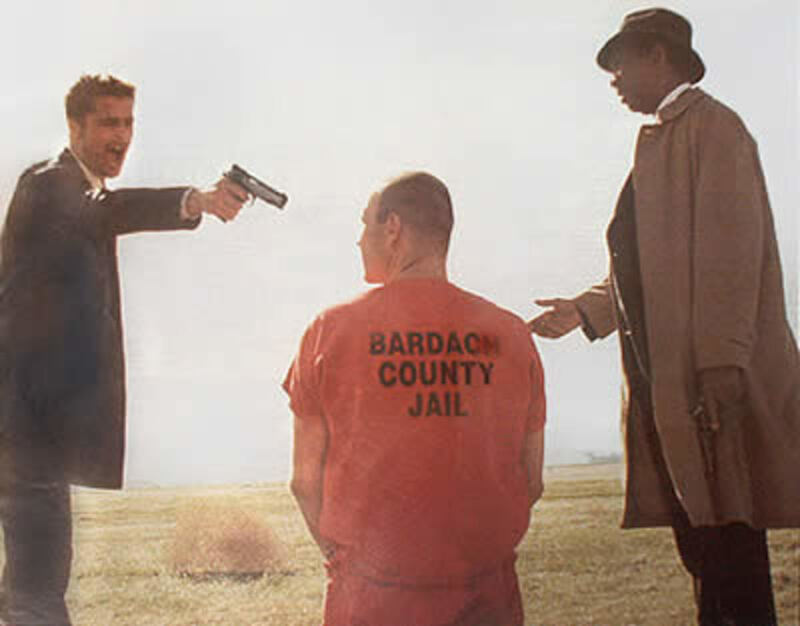 - The two criminal characters played by Joe Pesci and Daniel Stern were played by these two actors to be very over-the-top and almost unbelievable. Neither actor could have foreseen the incredible success this movie would eventually have, so they simply had fun with the parts and made the characters boisterous and with what turned out to be very memorable personalities. - In the beginning of the movie, many of the shots of Kevin were filmed from above his head. This was to make him seem to be smaller and more vulnerable. Later on, he was filmed at a more level angle, making him seem more grown-up and more confident. - The two crooks in the movie, Marv and Harry (played by Joe Pesci and Daniel Stern) actually sang a rather deranged and hysterical version of the Christmas song "Santa Clause Is Coming To Town" which never made it into the movie - it ended up on the editing room floor, as it were. Homes used in movies become almost as critical to the film as the actors themselves are. Memories come from the way these homes look, the way they are decorated so they appear to be appropriate for the period of time that the movie is portraying, and for their general feeling of being a "real" home to the characters who live in them. It is little wonder that homes used in movies soon become tourist attractions after the film is released. And in some cases, future generations watch the movies and renewed interest is developed in the homes and story lines that were created for the movie. This is all part of the magic and appeal of movies! 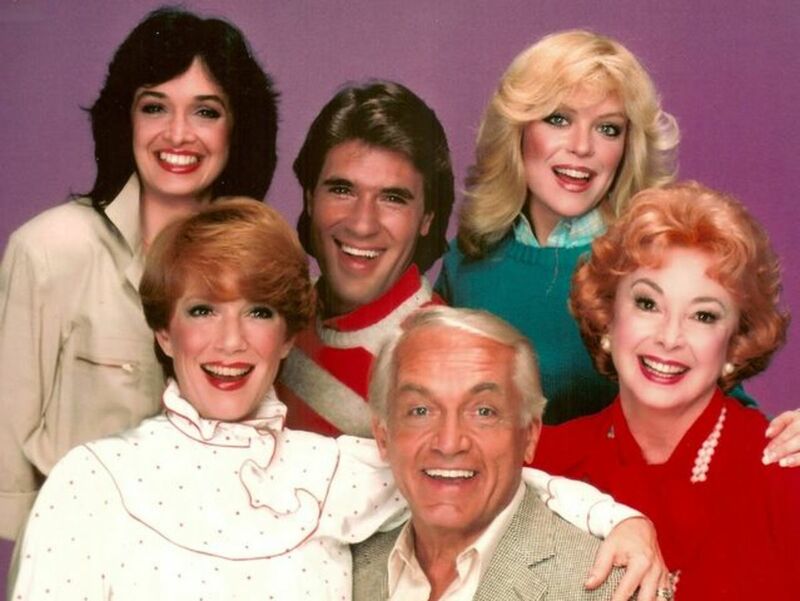 Whatever Happened to The Cast of 80s TV Show: Too Close For Comfort? Interesting article. 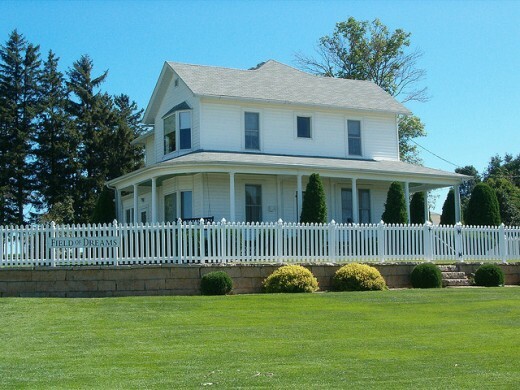 I especially enjoyed learning what they plan to do with the house from Field of Dreams. There will be many real children who get their baseball playing dreams fulfilled in there.